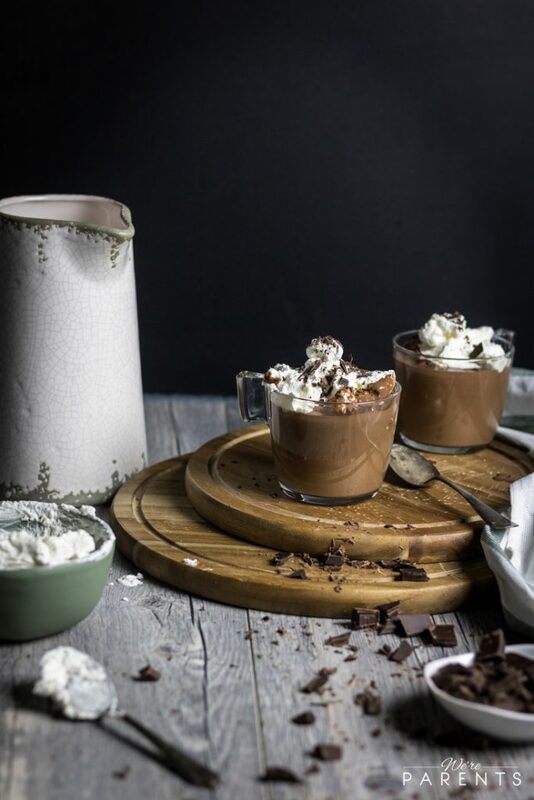 This indulgent homemade hot chocolate recipe is made with real chocolate and will make you never want to use a box mix again! Growing up, hot chocolate was such a special treat for us. We didn’t get it often, but it was such a fun drink as a little kid. I mean, my mom was agreeing to let me drink chocolate. However, her hot chocolate always came out of a paper packet and needed to be mixed with warm water or milk. Her version of homemade hot chocolate was anything but homemade. As a child, that didn’t matter. As an adult, I have become a bit of a hot chocolate snob. I remember the first time I had real hot chocolate not made from a packet. It was like a new awakening. Anytime I’ve had a packet of hot chocolate since then, it just isn’t the same. Fast forward, and Andrew and I love to have hot chocolate dates. One of our favorite things is this rich, indulgent homemade hot chocolate recipe. It’s what your homemade hot chocolate dreams are made of, I promise. How Do you make a real hot chocolate recipe? First, start by caramelizing sugar. Then, warm milk in a pot until bubbling (but not boiling). Next, add in real chocolate bars and and heavy cream until melted. Finally, you add a splash of vanilla at the end. 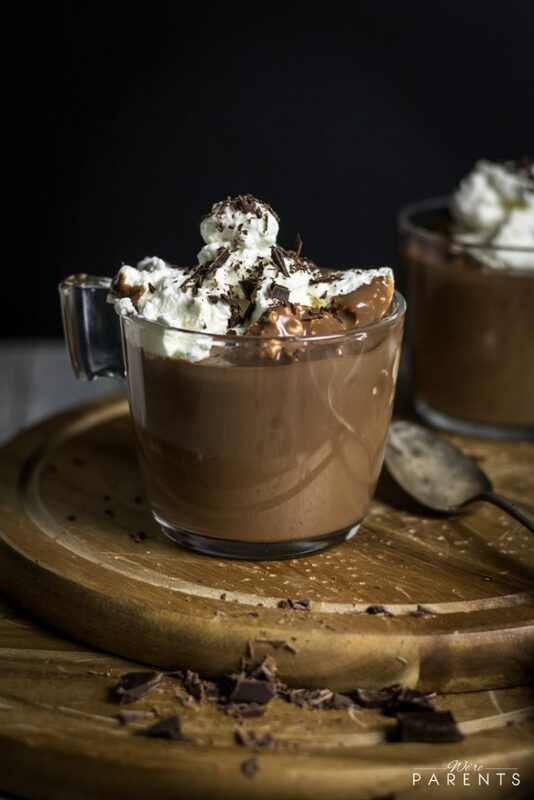 The end result is the most decadent, rich, creamy homemade hot chocolate recipe you’ve ever had. How do you make thick hot chocolate? The key to indulgently thick hot chocolate is to use real chocolate bars instead of a cocoa powder and to use heavy cream. 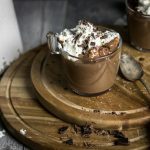 Both of these things together leave you with a thick hot chocolate recipe that is satisfying without the use of flour or cornstarch that you may have seen in other recipes. 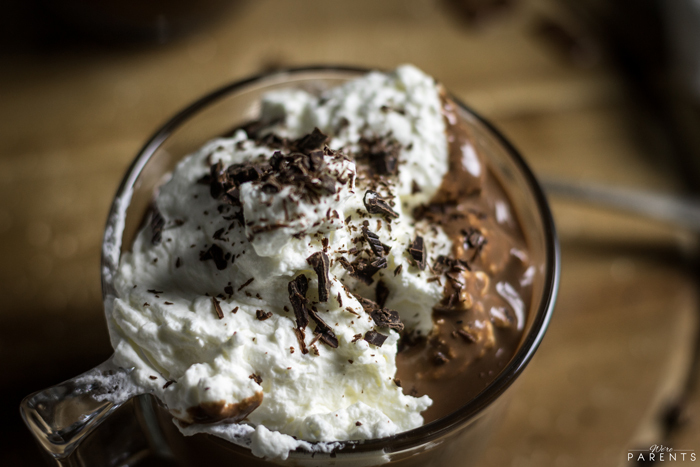 If you’re looking for a great hot chocolate recipe, you can stop looking, it’s right here. In a heavy bottom sauce pan, add sugar and turn heat on medium low. Wait until sugar starts to caramelize, the edges will turn a rich amber color. Once all edges are this color, carefully stir. Constantly whisk for 2 minutes. Pour in heavy cream and chocolate and stir until combined and chocolate has melted. Let cook another 2 minutes until it becomes thick and creamy. *NOTE: Do not boil the milk. Small bubbles are okay, but boiling will scorch and burn your milk and then it's no longer yummy. *Nutritional facts are just estimates. Please utilize your own brand nutritional values to double check against our estimates. 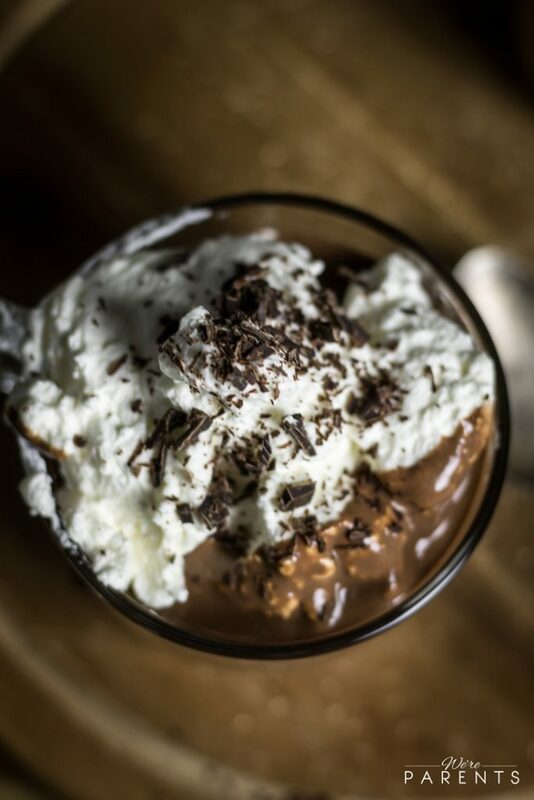 **Optional Homemade Whipped Cream is not calculated into nutritional values. 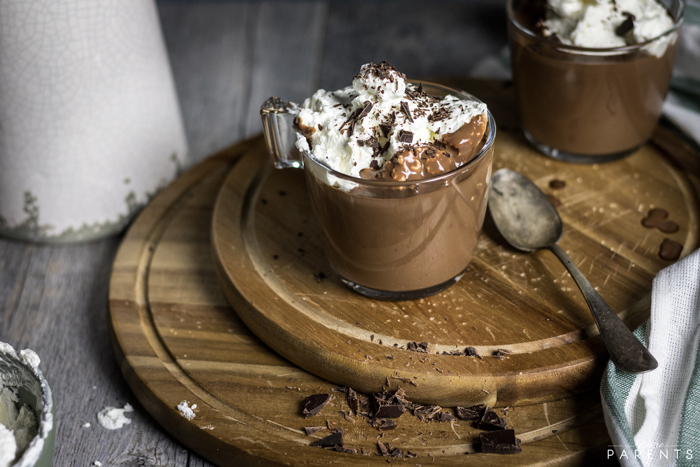 We hope you enjoy this delicious homemade hot chocolate recipe! Make sure you pin the image below so you always have it on hand!